Bailey wasn't always a wild child and the black sheep of her family. She used to play fiddle and tour the music circuit with her sister, Julie, who sang and played guitar. That ended when country music execs swooped in and signed Julie to a solo deal. Never mind that Julie and Bailey were a duet, or that Bailey was their songwriter. The music scouts wanted only Julie, and their parents were content to sit by and let her fulfill her dreams while Bailey’s were hushed away. 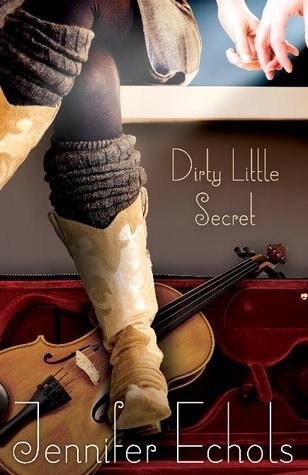 Dirty Little Secret was such a fun, light read. It really is a perfect story to read during the summer, because it is so lighthearted. The characters are dealing with a lot of issues, that are a little on the dark side, but the writing is still done in a way where the book never feels heavy. I was able to read this in about a day and half, so it really is a story that gets its hooks into you, because you want to know more about the characters. I did have a small problem with this story and it was the characters are kind of pushovers. They bend to everyone and get over things way too quickly. For example Bailey isn't supposed to be on the music scene and she gets convinced to play with a band. I can totally understand her wanting to at least play one gig with them, but when things get complicated with the band members she still sticks around. I know she really wants to play with these people, but I felt like Bailey's hunger to play wasn't expressed enough for it to be convincing to the reader that it was ok for her to play with them through all the drama. I just felt like the characters weren't extremely strong. They each had their own issues and personalities, and that was great, but they just seemed to explode and forgive way too easily. I hated how much Bailey let Sam walk all over her and take advantage of her. I understand that to her this was all supposed to be temporary, and she really liked him so she dealt with it, but I just wanted her to stand up for herself better. Sure, she yelled back at him, but in the end he always won. The other small problem I had with this story was that it ended way too cleanly. Everything was right in the world in the end, and I felt like that wasn't how it works in real life. I felt like there should have still been some things for everyone to work through, and there was a small amount, but just not enough to be totally convincing. It also leaves the reader on a little bit of a cliffhanger, because you really want to know what is going to happen next for Bailey. Other than those two small, little, teeny, tiny problems I really enjoyed the story. I wasn't expecting a whole lot out of the story and I just wanted something light and fun to read and in the end that is what I got. I think this was a really good story and I am glad I picked it up. This book is a really great summer read. 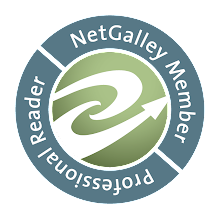 It deals with some complex characters who come with a lot of baggage, but the writing is still very clean and light. This is definitely not a heavy book and is perfect to read by the pool or at the beach. I did think the characters were a little too easily pushed over and got over things a little too quickly, but overall I still enjoyed the story as a whole. I recommend this to those who like light, fun contemporary romances with a splash of drama.